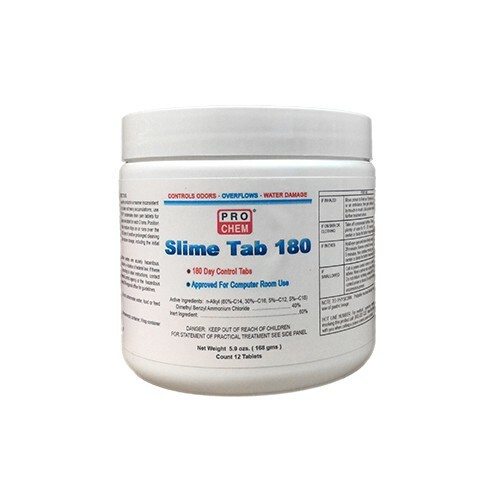 Slime Tab 180 | Pro Chem, Inc.
SLIME TAB 180 tablets are safe and easy to use. They are premeasured to treat a 3-ton AC unit for up to 6 months. 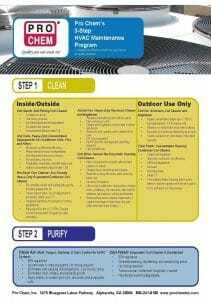 This product plates the condenser pan for a prolonged cleaning action and eliminates unpleasant odors caused by stale water. The tablets start working immediately for continual control of germs, fungi, bacteria, slime and black algae. Formulated with the compound AT-8 and Invisio-Guard, these tablets open clogged drain lines to prevent pans from overflowing, preventing costly repairs. It is a violation of Federal Law to use this product in a manner inconsistent with its labeling. Initially, in order to clean out heavy accumulations, use at least two SLIME TAB 180 tablets for each 3 tons. Thereafter, merely place one tablet for each 3 tons. Position the SLIME TAB 180 tablet so that moisture drips on or runs over the tablet, plating the pan for up to 180 days of positive prolonged cleaning action. For larger units, repeat the above dosage, including the initial application for each 3 tons.